Here’s an important financial tactic that is often overlooked, but can help boost both your bottom line and your performance on the chessboard: Use your head! Don’t run on automatic pilot. Be aware of what you’re doing and put clear thought and consideration into every step you take. 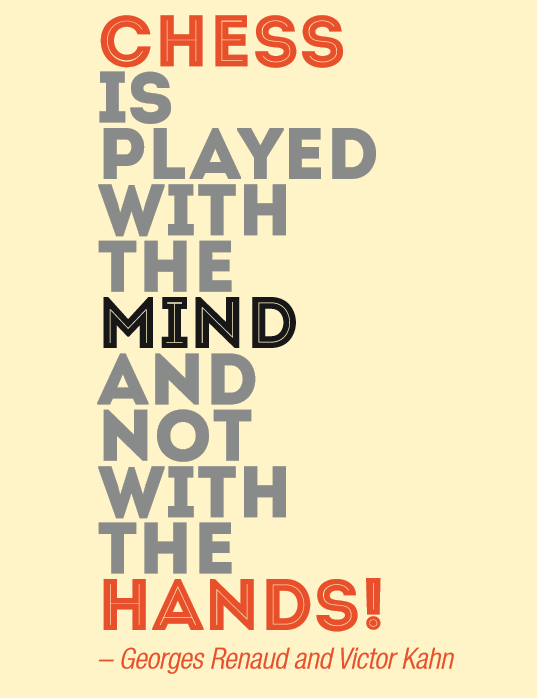 “Chess is played with the mind and not with the hands!” If you want to win a game of chess, don’t just move your pieces around the board. Think your moves through very carefully. Where are your opponent’s pieces in relation to yours? Would moving your bishop over there put your king at risk? How much of a loss can I sustain if things don’t work out? Does this particular decision conform to my financial plan and current goals? Review your financial plan and see if you are meeting your goals and financial objectives. If not, you may need to make changes to your investments after all. Even if you want to leave your portfolio at its current status quo, this is also an active decision that requires logical thought. “Chess is played with the mind, not the hands” can be a metaphor for thinking and analyzing all your moves, both on the chessboard and off. For other chess quotes that can inspire you in all areas of your life, get the free Rich As A King Poster Book. Download it here.